If you have any questions or want to enquire about dates, use our form to contact Nick Allan or see their website for more information. Among the vineyards and wild lavender of Luberon National Park, this farmhouse with blissful views hides in a mountain valley moments from medieval Gordes. Part of a private hamlet of four distinct houses, each with its own pool and manicured garden, the Mas is quintessential Provence, with its fine beamed ceilings, open-plan layout and vast heart of a kitchen – perfect for foodies. Equally stylish is your living room with open fireplace where everyone can gather for games and storytelling before wending their way up the open-sided stairs to three soothing bedrooms; there’s a jacuzzi to indulge in, too. Helpful well-travelled owners Nick and Rosemary live just down the road; note the objets d’art collected from their travels. Once lunch gets going on the dazzlingly large terrace you’ll not want to leave, so enticing are the comfy rattan chairs, the big round pool and the privacy of mature trees and hedges. Hike the mountains, explore the medieval hilltop villages, stock up in the markets – everyone loves the Luberon! We stayed in Le Bastide for a week & found the house to be very comfortable, spacious, well equipped & beautifully decorated. The garden terrace was perfect for al fresco eating & relaxing while the pool was a hit with our teenage girls. We ate out most evenings with a wide choice of restaurants nearby to suit all tastes & budgets. A beautiful area to explore & the house was ideally situated to make the most of this. The information on the area & local attractions provided by Nick & Rosemary was very useful & much appreciated. What a fabulous stay in the beautiful Little House! Everything has been thought of and and the owners' have a great eye for detail which made our stay very relaxing. 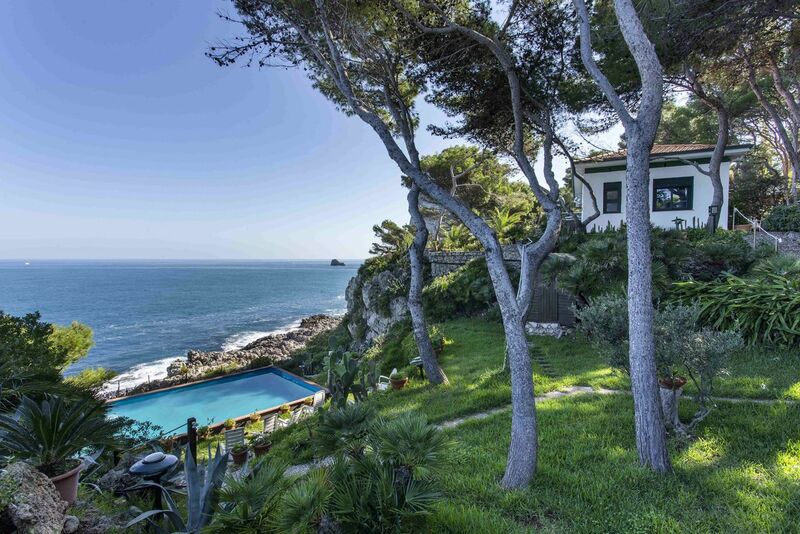 It's the perfect base to explore this beautiful area and also a peaceful retreat for days spent in the garden and pool. Thank you Nick and Rosemarie! Mas de Rosmarie is an idyll sitting under the hilltop village of Joucas. The Mas is a very well finished home that leaves you needing nothing for your holiday except to unpack and enjoy. It is one of four properties within the large grounds but offering privacy and is very quiet.The bedrooms are extremely comfortable and attractive with lots of storage and space. Nick and Rosamary have created a lovely mature garden with a large pool that is very well maintained. Everything was spotless with very comfortable indoor and outdoor furnishings. Our family loved it including our 2 year old grandson. Stayed in the Little House at Mas de Rosemarie and had a marvelous time. The house is comfortable and has everything you need. Good kitchen and bath, comfy beds, lots of places to chill out and a huge grassy yard with patio and pool. Decoration is rustic French and charming. Liked having the summer kitchen with games and tons of movies, as well as a washing machine. The location is perfect for exploring all the hill towns of the Luberon and beyond. Nick and Rosemary are welcoming hosts who provided all info we needed with a smile. If we lived here we would want them as friends. Our stay at Mas de Rosemarie was just fantastic. From the moment we arrived, welcomed by Nick and Rosemary, we knew we’d picked somewhere special. We were in the Little House. The accommodation and décor was beautifully stylish French rustic. It feels very private with its own garden and pool, outdoor sofa and chairs under a pergola. There’s also a Weber gas BBQ. It's the perfect place to chill if you're after peace and quiet but also a great base to explore the area with its beautiful villages and countryside. We loved it here and would definitely book again when we next visit the Luberon. The Mas is an idyll- perfectly positioned for everything you would want to see in the Luberon. The house itself has been carefully thought out including a wonderfully equipped kitchen . Linens and towels are excellent and plentiful . The gardens and pool are truly stunning and you have complete privacy. The only effort required is to relax and enjoy yourself. Excellent accommodation. Nick and Rosemary have an exceptional eye for detail. The house is situated in a particularly beautiful part of Provence with some really picturesque villages with many restaurants nearby. Our children loved the pool! We had a wonderful week at Le Mas de la Rosemarie, staying in The Little House. This is one of our favourite parts of France. The weather was perfect. The villages are beautiful. The house was very well equipped, elegant and relaxing. A perfect base. A week was not long enough. Thank you to Nick and Rosemary. The Bastide is decorated with style & flair & spending 2 weeks here is the ultimate in relaxation. 3 large double/twin bedrooms & 2 great bathrooms upstairs. Downstairs is open plan which gives such a sense of space & allows for very sociable living. And the patio, garden & pool are wonderful. We enjoyed every minute in this beautiful property! Location is superb - an hour from the airport in Marseille, and easy driving distance to all the beautiful hilltop villages of the Luberon. Great vineyards & restaurants within easy reach too. No hesitation recommending - we'll certainly be back!! Highly recommend Le Mas de Rosemarie. We have just returned from a week long stay in The Little House. 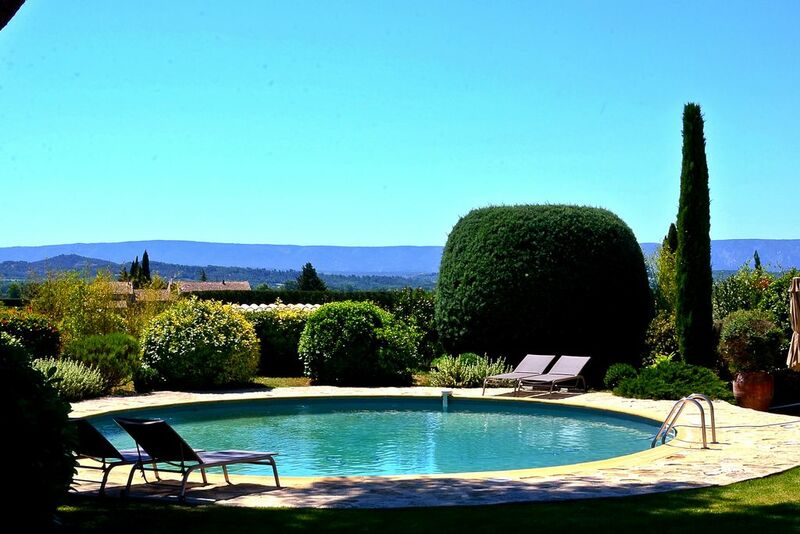 Le Mas de Rosemarie is situated in a great location for exploring the picturesque villages of the Luberon. The Little House was extremely well equipped with a lovely garden and pool for those times when we didn't want to venture far. The owners were on hand to provide a friendly welcome and we enjoyed eating at a number of local restaurants based on their recommendations. Would definitely return!